With many students coming to school early in the morning and late at night, many of our campus’s food options aren’t available. The main alternative food source are the vending machines that dot the campus, but some of the choices are not really the best ones to available. Still, there are always healthier options available, even when it comes to packaged snack foods. 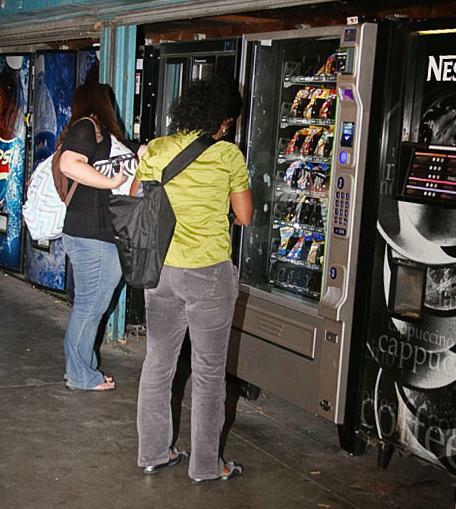 With valuable insight from American River College nutrition professor Irene Roltsch, here are the top five food choices you can make from a vending machine. Pretzels, although made with refined grain and salt, are a good source of carbohydrates, which provide more lasting energy over sugars. Granola bars are made of whole grain oats, and nuts, which is a good source of carbohydrates and fiber, with only a slight amount of added sugar. Trail mixes have some form of nuts and usually raisins, which amounts to a happy mix of fats, carbohydrates and fiber, at the expense of some added sugar often in some form of chocolate. Beef jerky may be packed with salt, but also contains more protein per serving than any other snack option, that is, until the vending machines start dispensing raw spinach. Raisins are made of real fruit, meaning that the sugars present in them are natural. Less processed foods are always a better choice over ones that are more processed. The goal is to consume foods that give more lasting energy, and are the least processed with added salts and sugar. This generally means foods that contain more whole grains and complex carbohydrates. Hopefully you will make the right choice next time you’re pressed for time and cash. Be the first to comment on "Top five fast snacks"